BWS Germanlingua Munich is a language school of German situated in very city center of Munich. You will learn German in a friendly atmosphere and in a very effective way. The basis of BWS Germanlingua Munich courses is the modern usage of the German language. School focuses on developing the understanding of both, the spoken and the written language, as well as the ability to express oneself. The teachers in BWS Germanlingua Munich are highly qualified and experienced in teaching German language. The members of staff are not only available to discuss matters of German language but are also happy to help you with advice on other subjects of life. Projectors, tablets and personal computers in every classroom will enhance the possibility for lessons to be taught in a more interactive and varied way. BWS Germanlingua Munich offers variety of lessons and social and cultural activities and sightseeing tours, which make Munich become your home away from home. During the Standard Course of German language you will be training your speaking, listening, reading and writing skills in small groups of maximum 10 participants (12 in high season). This course includes 20 lessons per week. Lessons take place from Monday to Friday 9:30AM - 1:00PM (or 2:30PM - 6:00PM in high season). During the Intensive Course of German language you will develop your speaking, listening, reading and writing skills with an additional special focus on communication. Maximum number of participants is 10 students (12 in high season). This course includes 25 lessons per week. Lessons take place from Monday to Friday 9:30AM - 1:00PM (or 2:30PM - 6:00PM in high season). 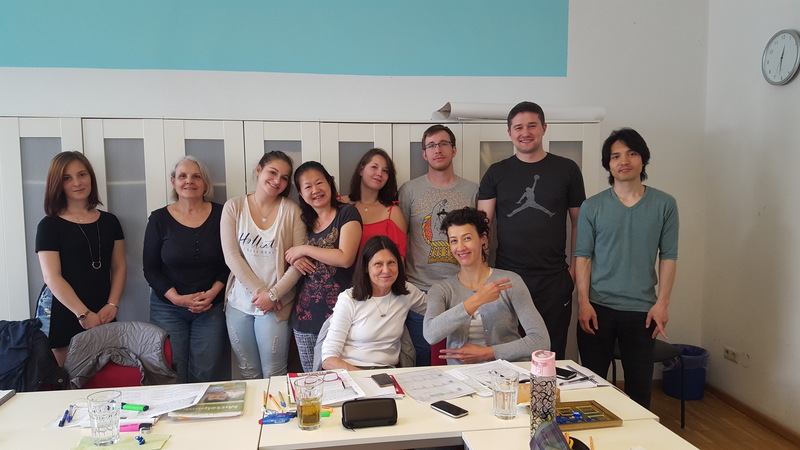 During the Combined course of German language you will develop your speaking, listening, reading and writing skills as in Stadard course plus additionally receive one-to-one private lessons where you will practice your German intensively and where you and your teacher can focus on your specific individual requirements. Maximum number of participants is 10 students (12 in high season). This course includes 20 lessons in group and 5-10 individual one-to-one lessons. Lessons take place from Monday to Friday 9:30AM - 1:00PM (or 2:30PM - 6:00PM in high season). 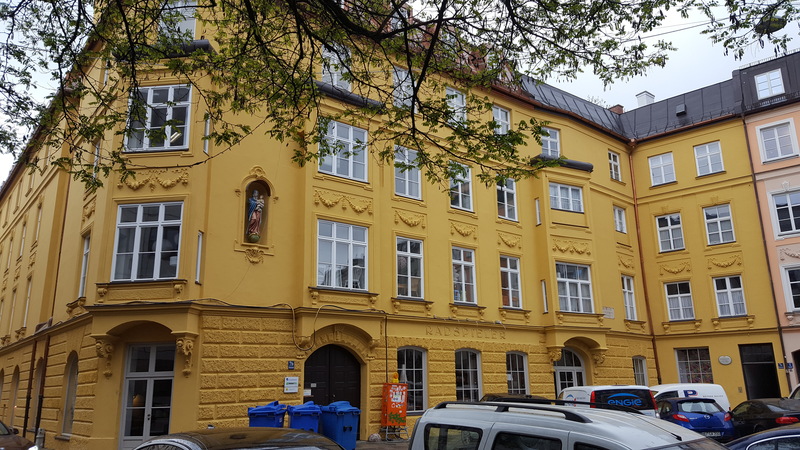 The school-owned shared apartment is situated within 10min by U-Bahn from school. It is a self-catering flat with three rooms with a fully equipped shared kitchen, shared bathroom. The flat is located on the third floor. There is a TV and a CD/radio player. Bed sheets will be provided (towels will not be provided). There is no internet but surf sticks can be rented at school. Students are responsible for cleaning their own room and to keep the kitchen and bathroom clean during the week. The school-owned shared apartment plus is situated within 10min by tram from school. It is a self-catering flat with four rooms, a living room, with a fully equipped shared kitchen, shared bathroom and an additional toilette. The flat is located on the first floor. There is a TV and a CD/radio player, internet high speed access, washing machine and a dishwasher. Bed sheets will be provided (towels will not be provided). Students are responsible for cleaning their own room and to keep the kitchen and bathroom clean during the week. Attention: There must be absolute silence from 10PM! The school-owned studio apartment is situated in a quiet street close to the city centre of Munich. It is situated within 10min by U-Bahn. It is a self-catering one-room-apartment with a fully equipped kitchen and own bathroom. It has 35m2 and is furnished with a double bed of 140cm width, a sofa, a big closet, a table, chairs and an armchair. There is a radio and a flat screen television. There is no internet but surf sticks can be rented at school. Bed sheets will be provided (Towels will not be provided). This option offers the possibility to indulge into German daily life, culture and food and the opportunity to speak German also after school hours. There is no such thing as a classical “host family”, so your accommodation could be with a big family of father, mother, two kids and a dog as well as a single mother and her child, a single person or a couple. Please inform in advance about your preferences and allergies. A good school in the heart of the city! Near the subway station and there are no problems to come to school absolutely. The school has everything for a comfortable stay and effective classes! Thanks for the excellent course in BWS school and of course for Linguatrip team! A good school, not so big, with nice, friendly and fun teachers. The school is located right in the center of München.